Normally one expects snow and ice in Yosemite Valley in January. 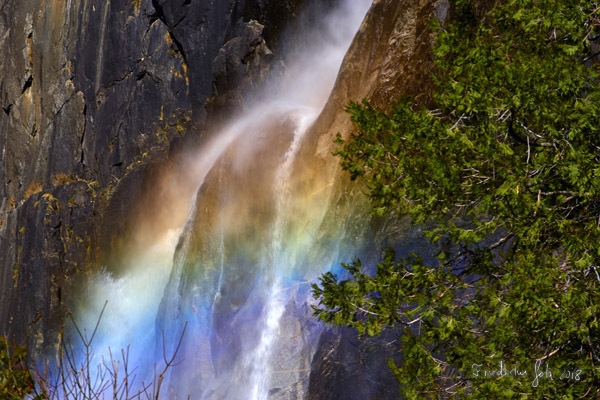 I was surprised by a beautiful rainbow on Lower Yosemite Fall last Friday. I used a 200mm lens on a C-sensor camera to capture this image.